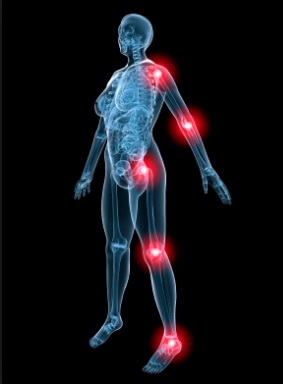 Pain is categorized as a separate sense with both an emotional and a sensory component. Its main purpose is to warn about the potential damage of bodily tissues and to motivate action to prevent such damage. Pain sensation is processed at several levels before it becomes a perception. We have a neurobiological system which, when activated by, for instance, expectations, may cause neurophysiological changes that affect perceiving of pain. The goal hypnosis for pain is to utilize the obtained knowledge in the treatment of pain, to be able to use more efficiently our own abilities and resources to diminish the suffering. Hypnosis for pain relief is one of the most researched areas among psychologists. It has been used in conjunction with several treatment programs for a number of medical conditions. People differ in the degree to which they respond to hypnosis. There are individual differences to every person’s openness to hypnotic suggestion. These differences have a strong incidence with the greatest and most lasting relief. However patients who are moderately hypnotizable can also find improvements. Meditation promotes the release of endorphins. These are neurotransmitter that can be 10 times more potent than any other pain-killer. The very well-studied hypno-analgesia has been widely studied, and has been associated with reduction in the rate of pain, the need for analgesic or sedation, nausea or vomiting, and the length of stay in hospitals, better outcome after medical treatment and greater physiological stability. More studies have also shown that hypnosis to manage acute pain is often better than other recognized treatments of pain. Hypno-pain control offers a technique using suggestions that will go directly into the subconscious to control the way cells respond to any type of pain, acute or chronic. During hypnosis the conscious part of the brain is temporarily tuned out as the person focuses on relaxation and let go of distracting thoughts. Hypnotized a person may experience physiologic changes and become more open to goals, like reducing pains. It can be effective for surgical or post-surgical procedures, rheumatoid arthritis, treatments of burns, child-birth, headache, backache, carcinoma-related pain, reduction of anxiety associated with surgery. The technique needs an hour, and 3 sessions minimum are recommended to get the most benefits. There will also be some hypnosis for pain management available so you can keep with the program by yourself. It is important to consult with your physician for any conditions preventing you from getting hypnosis for pain control beforehand.